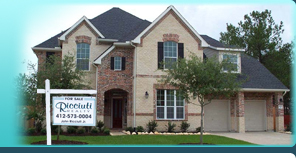 Welcome To Ricciuti Realty, Inc.
Ricciuti Realty is a full service realty company specializing in residential, commercial and new construction and prides itself on making the buying or selling process as easy as possible. Our agents recognize that buying/selling a home is one of the most important decisions a person has to make and our goal is to make the process smooth, simple and enjoyable. 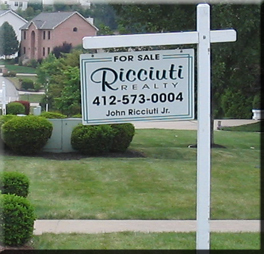 The Ricciuti team is dedicated to handling all your real estate needs in the most professional, efficient and ethical manner. Our professional approach and personal service sets us apart from the competition. We have the latest technologies and marketing tools, excellent internet presence, cooperation with other brokers, and we are a member of West Penn Multi-List. We are also a member of the National Association of Realtors, Pennsylvania Association of Realtors and Realtors Association of Metropolitan Pittsburgh. As a small realty company, we can offer you individual attention giving you the personal touch you deserve. So whether you want to sell your home, buy a new home or build your dream home, call us to make the experience as pleasant and easy as possible.